Those are some good dice. I don't have quite as much variety as that, but I make up for it in numbers. Last edited by chenjesu on February 22nd, 2010 21:08:54 pm, edited 1 time in total. 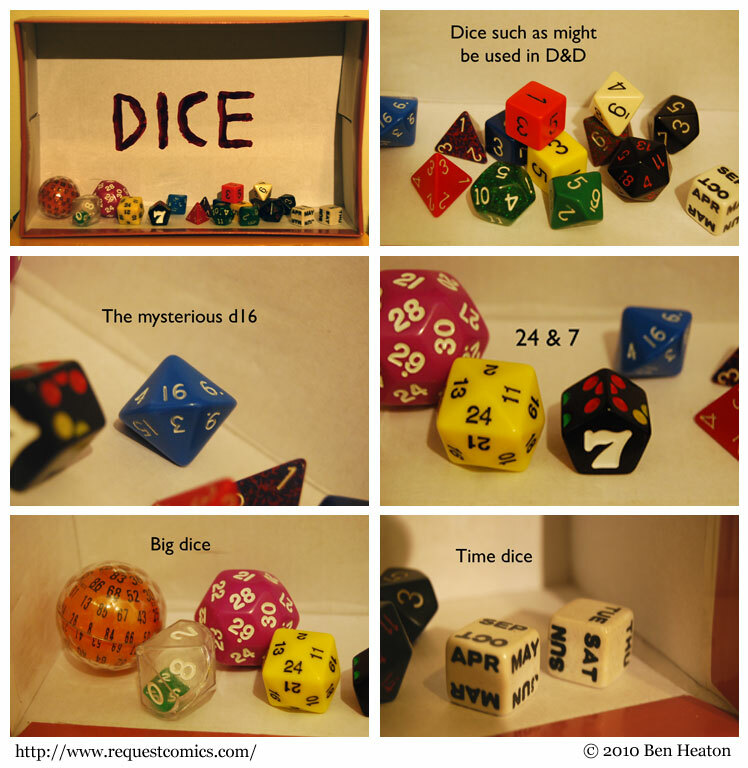 So, is the die-inside-a-die thing just an amusing way to roll two dice at once? Also, how exactly does the big orange one work? It looks as though it would be impossible to determine exactly which number is on top.